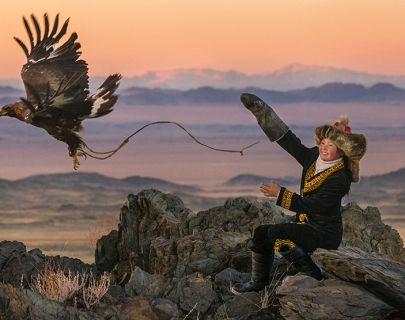 The Kazakh community in Mongolia, has a tradition handed down from father to son for centuries; the annual Golden Eagle competition. Despite some raised eyebrows, 13-year-old Aisholpan is competing – the first female in twelve generations to do so. Perched precariously on the side of a mountain, with a gigantic mother eagle circling overhead, the brave girl perseveres in the face of danger to capture her own baby eagle. Executive producer Daisy Ridley narrates this visually stunning docu-drama about an inspiring rite of passage; an incredible journey with an enriching and empowering lesson that will set hearts soaring.